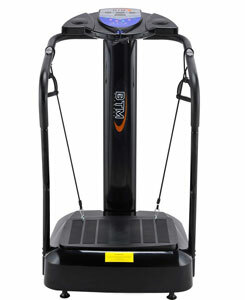 Can The BTM Vibration Plate Really Help Buyers To The Extent Advertised? The mechanics and programming of the BTM Vibration Oscillating Plate Massage Fitness Exercise Machine seems fairly straightforward, with its oscillating motion, 160 speed levels, 10 programs and LED display, but the real appeal goes beyond this specification. A large section of the sale pitch is devoted to medical conditions, with claims that it can potentially aid users with poor circulation, digestion problems, insomnia, and bone and joint conditions while also providing the expected benefits of improved muscle tone and weight loss.